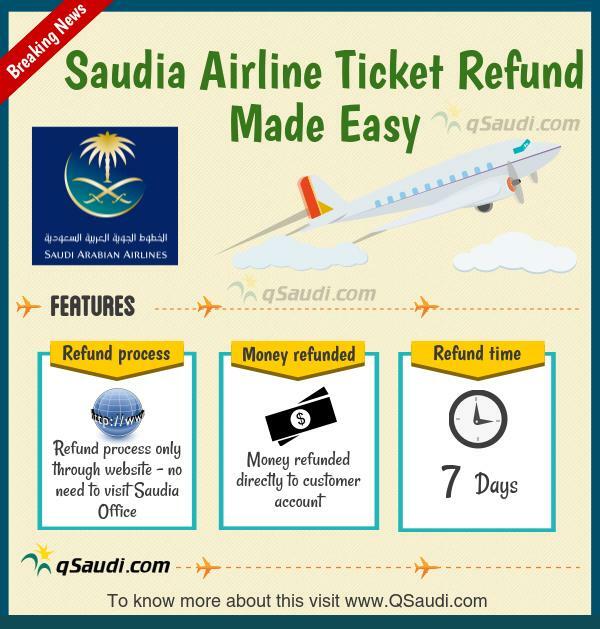 As per announcement by Saudia Airlines on Thursdays , the refunding process for Saudia ticket will be made easy and faster soon. As per the new process the customer can recieve the money in 7 days and that to directly to their accounts. And there will be no need to go to the Saudia office and wait in long queues; you can do it simple from the comfort of your home through the Saudia website. The Saudia airline officials have said that they will stop refunding tickets from the sales office now; customers will have now have to go to the website to get refund. However, there are exceptions – Tickets issued outside Saudi Arabia, Multiple segment tickets and those issued using coupons will still need to visit the sales office to get reimbursement. But, this too will be made online in the future. The current system of ticket refund used to take 2-3 hours of waiting time before the refund coupon/check was issued. With the new system, the customer can have a more pleasant experience with Saudia Airlines.